QC-Fresh is the trusted name in supplying the best Australian produce to the world. Our success is built from working closely with you to ensure your customers receive the freshest Australian produce. We have long term relationships with an extensive grower network to help you gain access to the freshest produce and broadest range available during the Australian seasons. QC-Fresh procures the finest Australian fruit for both domestic and international markets. Superior Australian fruits available include: Apples, Avocados, Citrus, Grapes, Mangoes, Melons, Pears and Stone Fruit. These are just a few varieties available for export through QC-Fresh. We supply an extensive range of export quality fresh vegetables. The freshest vegetables from Australia arrive by air freight to our overseas markets within 48 hours from picking. We offer Broccoli, Cabbage, Cauliflower, Carrots, Celery, Lettuce, Sweet Potato and Wombok. Want to know more about our produce? Delivering Australia's best quality produce around the world safely, quickly and reliably. 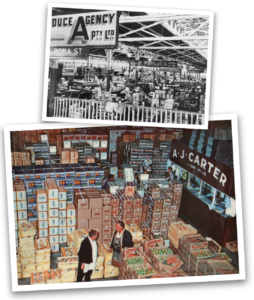 For close to 100 years the Carter family name has continued to be one of the most respected throughout the fresh fruit and vegetables industry. In 1923, Alfred Carter began trading at the Central Markets of Brisbane located in Turbot Street. Today QC-Fresh exports to numerous countries with the same impeccable standards of produce and service.